I recently went to a Fanta Funpack Event and it was superb. 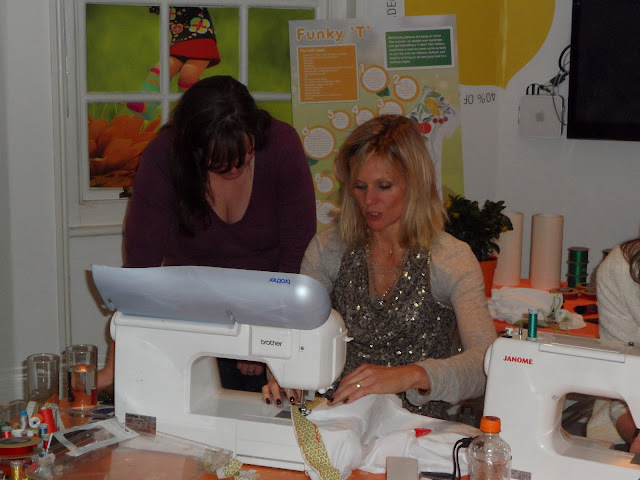 It was hosted by Lexis PR and the star attraction was Linda Barker. 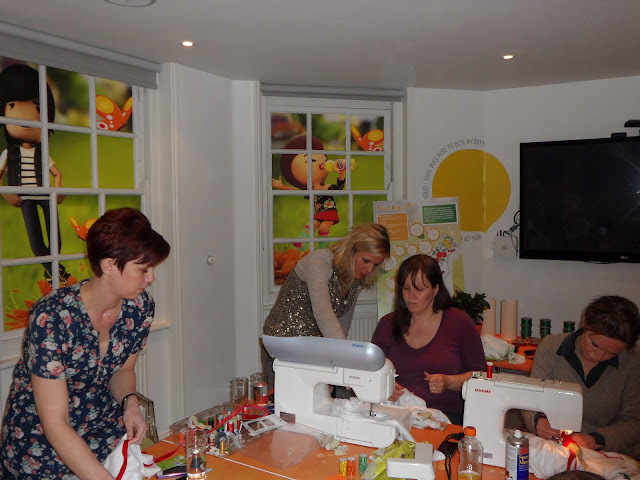 The main purpose of the night other than to feed us with fanta and muffins was to launch their Fanta Funpack, which is a great tool for Mums, and includes the guidelines for making the t-shirt. It was wonderful to see Kerry from Multiple Mummy there, featured far left in the photo above. She spent most of the night concentrating really hard, but luckily we got chance to talk on the way to Liverpool Street station after the event. 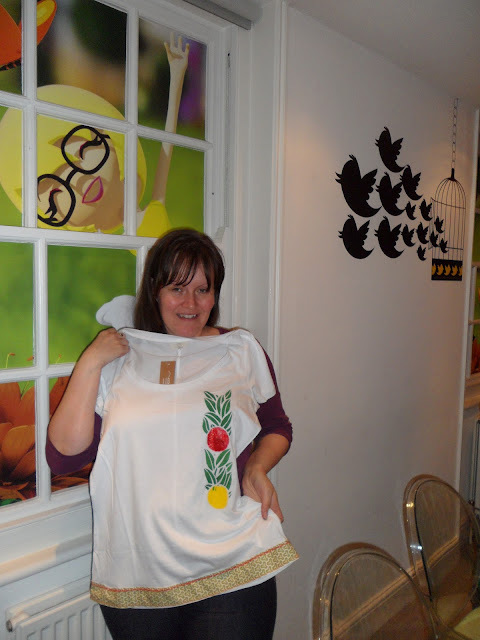 She made a fab t-shirt so no wonder she was concentrating. Her fanta post is here - she was a lot more prompt at doing her post whereas I have been naughty and really dragged my heels. @CraftBlogUK who blogs here (her daughter made SEVERAL t-shirts and they were all awesome) - you can see the gorgeous girl and her gorgeous tees here. Well, I can't think of anything to add, other than that they have made Fanta healthier to drink and yet it still tastes the same as it did in the 80s which made me really nostalgic. I will leave you will the official blurb, except it's taken me so long to write it, it wasn't actually referring to THIS half-term - oooops! FANTA GETS CRAFTY THIS HALF-TERM WITH LINDA BARKER FUN PACK ! Mums searching for fun ways to keep their teens entertained this holiday need look no further - Fanta has the answer. Fanta has teamed up with craft guru and design extraordinaire, Linda Barker, to launch a Fun Pack that is jam-packed with great ways for mums to amuse both their teens and themselves this half-term. The Fun Pack is bursting with fresh ideas and is sure to help mums spend more quality time having fun with their teenagers with a wide range of creative, crafty suggestions that the whole family can enjoy. To celebrate the new Fanta Orange recipe, which now has the best ever Fanta taste with natural flavours and real fruit juice, Linda Barker has come up with a variety of zesty ideas that offer fun activities for everyone. From great-tasting culinary treats like Orange Jellies and Banana Cupcakes with a Groovy Granola Topping, to cool crafts including a Bootlace Bracelet and Funky ‘T’, the Fun Pack has hands-on craft ideas that will help mums and teens while away the hours having fun together. Bake up a storm and create zesty cupcakes that pack a crunch - we called these muffins on the night and they were nothing short of delicious!